Why Submit your Web Site? If you have read most of this information, you will have realized that most of these search engines aren't going to find your web site or other internet resource unless you tell them about it. Many of these sites have never had there URL addresses submitted to the search engines. Why not? Because the site owner either doesn't know about this or, for reasons unknown, doesn't care about this. In any event, they are not listed. They are like unlisted phone numbers. You will never find them unless someone tells you about them. So, if you have a web site or other internet resource you want people to visit, you must submit information about them to the search engines. 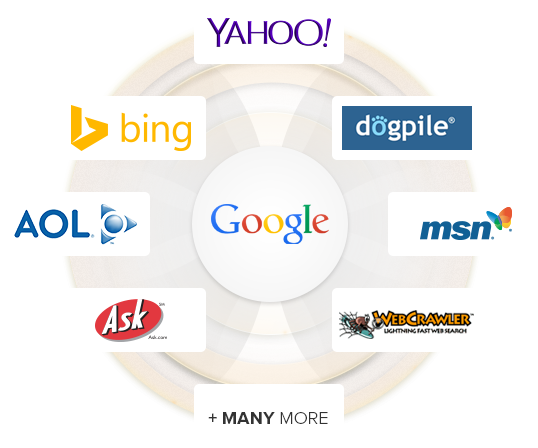 Get submitted to the top search engines. We'll get you submitted to over 2,000 search engines and directories. You'll receive a listing report upon completion. You need to be listed in search engines to get traffic for your website! It's a must!